GENEVA (AP) — The World Economic Forum’s president said Tuesday that the organization’s move to bring together leaders from four Western Balkan countries and regional powers aims to fight “complacency” in a region facing lingering tensions on a route used by migrants into Europe. Borge Brende, a former Norwegian foreign minister, said that lessons from history show that events in the west Balkans tend to have a “huge influence” on the rest of Europe, while pointing to economic opportunities in the region. 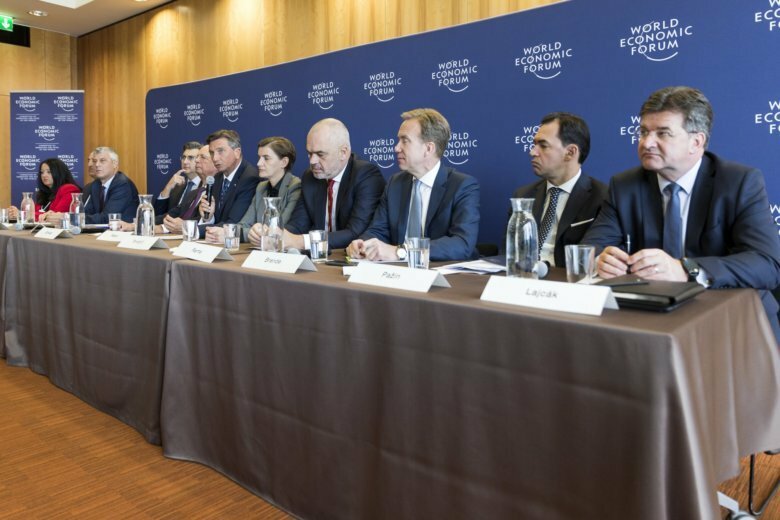 He spoke after the WEF hosted the leaders from Albania, Kosovo, Montenegro and Serbia, as well as key officials from regional players like Croatia, Germany and Turkey. The leaders announced plans to create a regional center on emerging technologies in the “Fourth Industrial Revolution,” cooperate with a WEF cybersecurity center and hold a regional summit next year. The Geneva-based think tank is best known for the annual Davos gathering in the Swiss Alps.